Yay! It's that time again. 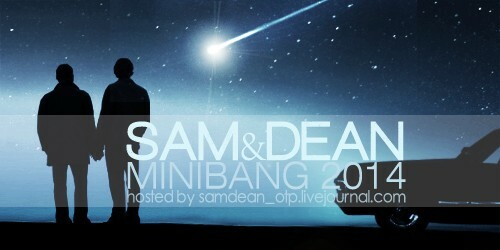 Time for celebrating my favorite and pretty much only OTP for the Sam & Dean mini-bang, over at samdean_otp. The fic and art that come out of this every year are always amazing and it's just a whole lot of fun. I hope that you're participating too. Sign up by June 20th. I'm pretty sure everybody likes that one best, including me, hehe. I am not at all surprised! But they were all great, I honestly had a hard time choosing, you did a great job on them all.